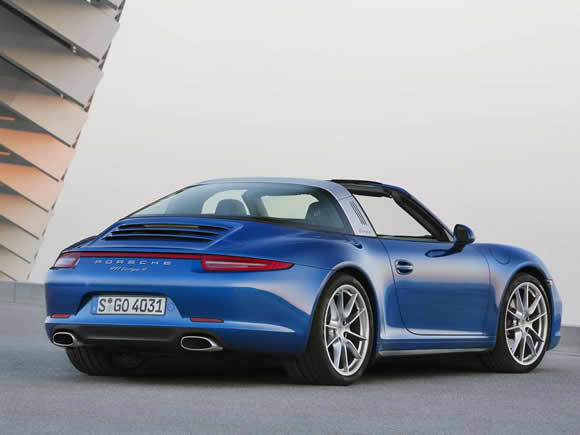 The Porsche 911 Targa returns in style with a brushed aluminium B-pillar and wrap-around rare window in the style of the original 1965 car. 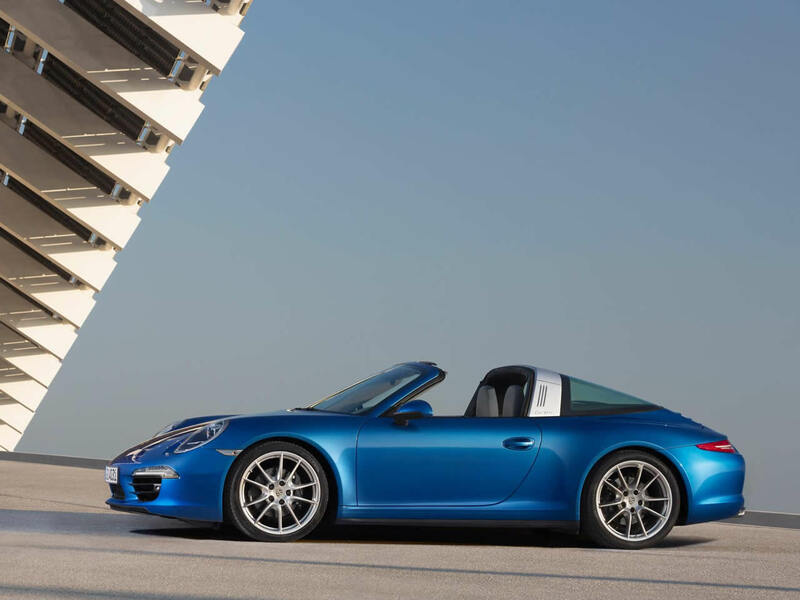 The Targa 4 comes with all-wheel-drive as standard and the sweet flat-6 engine. Performance is as impressive as the exterior styling and is matched with beautiful build quality. 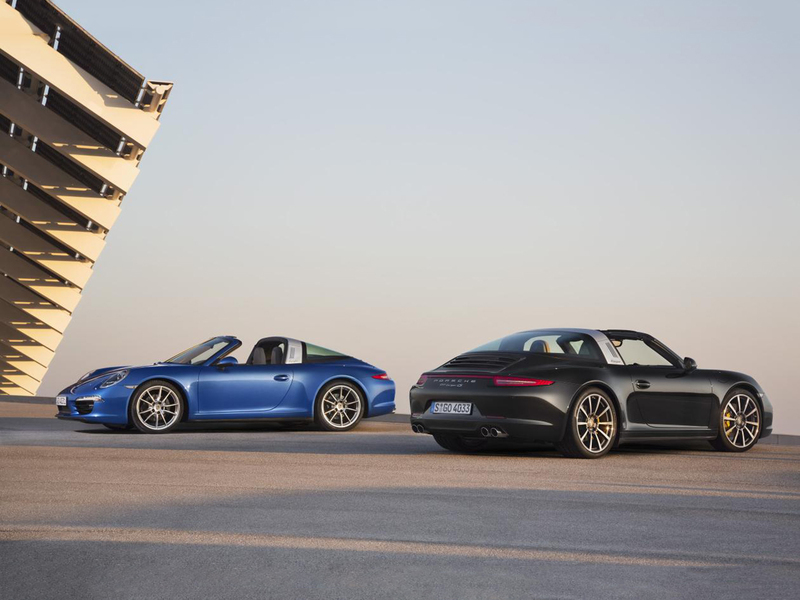 Handling is similar to the Carrera 4 Cabriolet but with the added structural improvement that the Targa bar provides. The roof mechanism is surprisingly complex considering it is only the centre section that folds away. The process includes the entire rear window and surrounding bodywork lifting up and the top of the b-pillar roll bar also raising to allow the roof to pass through. 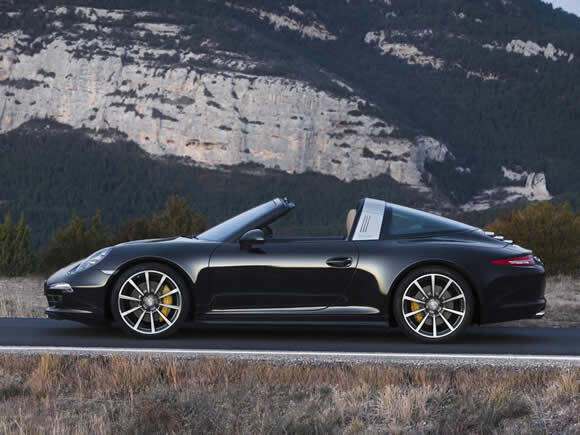 Unlike the previous generation, the roof of this 911 Targa is fabric but with the majority of this covering a hard panel thus further improving security. The original 1966 Porsche 911 Targa was a popular car in its day but for a long period remained a relatively unloved classic due to the less elegant roofline and rust issues resulting from drainage from the Targa pillar leaking into the sills. The new car has a more curvaceous roof shape and styling that make it more visually pleasing and with its impressive performance a very desirable car. In 2015 the 911 engines were revised throughout the range. 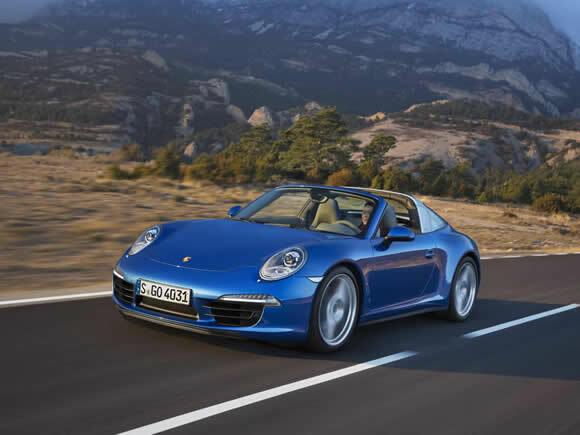 Porsche moved to forced-induction and smaller capacities for all models with the intention of improving emissions and fuel economy figures. The Porsche 911 Targa 4S is the more performance orientated version of the Targa topped car. The larger capacity boxer engine gives a hefty boost of power and torque that is more noticeable during driving than the performance figures suggest. Traction control and all-wheel-drive come as standard to keep things under control with the addition of torque vectoring and a rear limited slip differential to further improve cornering performance. 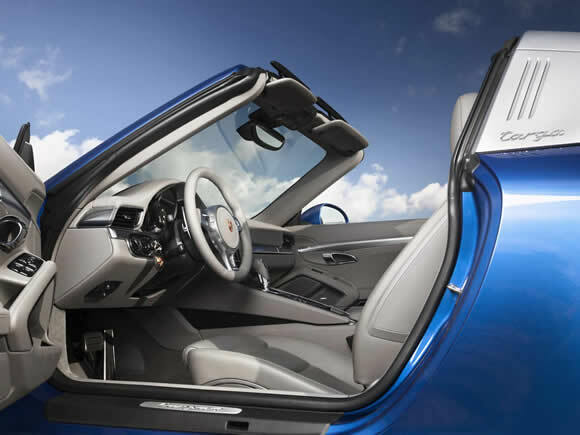 Porsche Active Suspension Management is used to suppress lateral body roll, improving handling without effecting ride comfort. Do you drive a Porsche 911 Targa? Would you recommend it to others? Start the conversation and let us know what you think of the car.